Liberman warns terror groups on Israel's northern border, emphasizing Israel is not limited in possibilities of response to provocation. 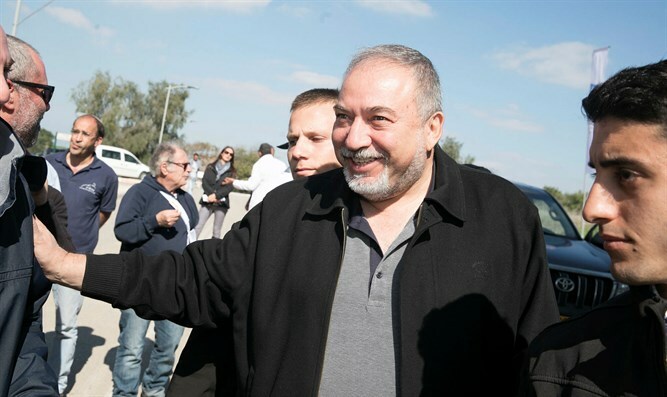 Defense Minister Avigdor Liberman on Tuesday visited the northern Israeli city of Kiryat Shmona in a tour planned in advance, unconnected to the tensions on the northern border over the weekend. However, he took the opportunity to say that Israel is not limited in its response to provocations from the Syrian side. "We manage things with determination and responsibility, there are no restrictions and we do not accept any restrictions," Liberman said. He added that relations with Russia were important, although it sometimes seems that Russia is not on Israel’s side. "It’s a connection that proves itself, it is an effective connection. Even when we do not agree, the very fact that there is an open dialogue prevents unnecessary friction. It is clear that each side has its own interests, each side sees the picture differently, but at the same time in years of civil war in Syria we have been able to avoid direct friction, and this is also an achievement in itself. " The defense minister noted his satisfaction with the United States' firm stance in support of Israel after the confrontations on the northern border: "We saw after the operations three days ago that the United States was openly supporting the State of Israel, and we are grateful for that. They don’t ask our advice, and who am I to give them advice on how to manage their security and foreign policy, but we are certainly very pleased with the backing the United States has given the State of Israel. " Liberman also referred to the attempted lynching in Jenin. "First of all, thankfully the soldiers are alright, but you cannot say [they are] unscathed. They underwent a traumatic incident, but in the end the soldiers are both alive." “Regarding security coordination and cooperation, we saw the results. A good word is deserved here for the security coordination and also for the Palestinian police, but the Palestinians also understand that security coordination is a mutual interest and a common interest, so both they and we maintain security coordination. Also the fact that the weapon was returned this morning - this also means that there is thorough security coordination on the ground and I hope that this will be preserved, "the defense minister concluded.